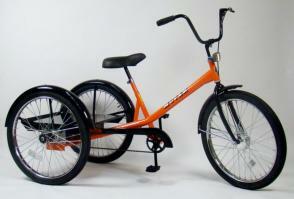 The Most Popular Worksman Industrial tricycle is also considered the world's best heavy duty Industrial trike. This incredibly functional and durable Industrial tricycle is hard at work at companies and organizations all around the world including Ford, Exxon-Mobil, Mercedes Benz, US Army, Boeing, and many more. From the USA to Europe to Africa and South America and just about everywhere on earth. Worksman Mover Industrial Tricycles are on the job. Single speed w/front drum and rear coaster brake w/ 26" Wheels all around. Shown with Optional Jumbo Cabinet, the standard model comes with a rear platform.. Choose popular options below such as rear cabinets, baskets, fenders and much more. Your facility is no place for toys. Insist upon Worksman Industrial Tricycles. 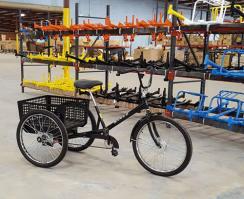 THE STANDARD FOR RELIABLE INDUSTRIAL TRIKES. Worksman Mover(tm) Tricycles are proudly Made in our solar powered New York City factory. Ships Via Truck 85% assembled. Shown with optional M13970 cargo basket and MSF26 side fender upgrades. At close to half a million square feet, we are spread out over close to a dozen buildings including manufacturing facilities and warehouses. We have a fleet of electric and gas powered golf carts and other small utility vehicles to move people and goods from point A to point B. The Worksman Mover Industrial Tricycle has allowed us to do that at a much lower expense while increasing the health of employees. 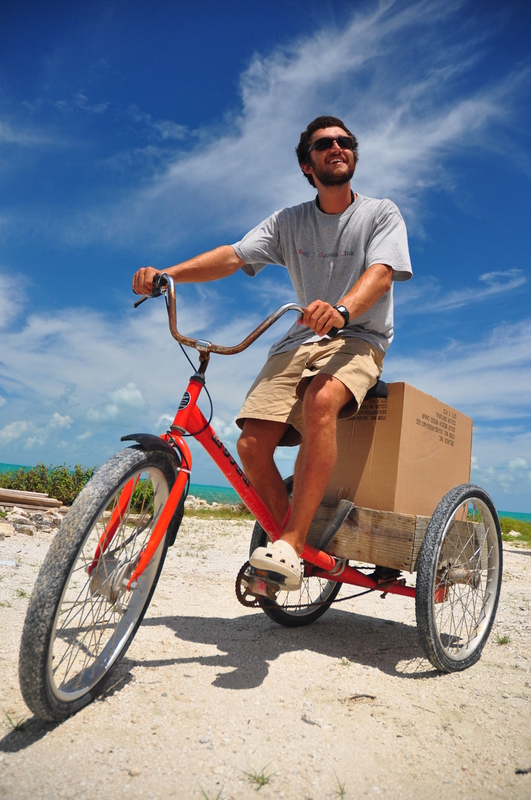 Everyone who has taken a ride on the Worksman Cycle has expressed just how easy and fun it is! Well geared, stout, low maintenance, and sleek are just some of the great things that can be said about this model. We will be ordering more of these to expand the fleet! The M2626 trikes we've purchased over the past two years are performing very well in Kohler Co.-Huntsville's industrial environment with the one exception. The seats on all of our trikes are subject to 24/7 use and are less than robust. They're simply not industrial seats. I've searched the internet in an attempt to locate a replacement for the N19 Saddle Upgrade. If you really want a "homerun" design improvement, work with your seat supplier to develop and offer a "toolmans" leather (or polypropylene) X-Wide Saddle Seat that can survive more than 6 months or industrial use. I would more than to be your field tester and provide valuable feedback. Well its our third tricycle and we get better each time with what we really need. 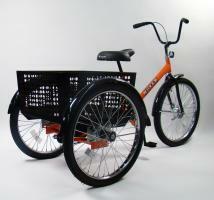 We find these tricycles to be a great price and hold up well. with many different riders and some very fat riders :-).. Lots of weight on the tricycles with 300 Lb people and cargo. I have sent two emails asking when these Tricycles are going to be delivered and have had no responses. When will they be shipped? So far customer service is not great!! 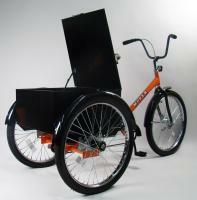 We purchased three trikes and are very pleased with the fit & finish as well as the construction. American Made!!! !